Nothing is left of the thriving Dutch passenger -cruise companies from before and after the 2nd World War. Shipping companies such as eg. In 1988, the HAL was taken over by the American Carnival Corp. Admittedly ships sail under the Dutch flag with home port Rotterdam and wherever possible with Dutch crew members. where the staff comes from the country of origin. with beautiful sculptures in the atrium! In 2019, after the departure of the Prinsendam, the HAL fleet consists of 14 ships. In may 2021 a 15th ship will be added the Ryndam. ss "Rotterdam", the last passenger ship built in the Netherlands for the then Dutch HAL. Until the end of 1997 hazards for the HAL. 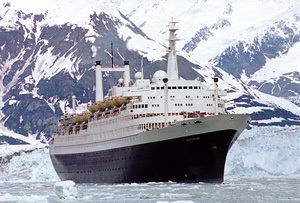 Then sold to Premier Cruises and put back into service as "Rembrandt". After the bankruptcy of Premier Cruises imposed in Freeport. After many failed plans, the ship was finally saved. It is the 5th ship with the name Rotterdam. 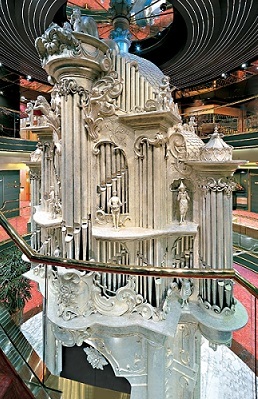 The ship was extremely popular with mostly American passengers. In service: 1959 - Tonnage: 38.645 - Number of passengers based on 2 per cabin: 1050. On August 4, 2008, the SS "Rotterdam" returned to her place of birth in a glorious way after being refurbished in her former state and original colour scheme. See further: pag. GLORIOUS RETURN with dozens of photos. Fortunately, a piece of maritime history has been preserved. It has a permanent berth in Rotterdam. 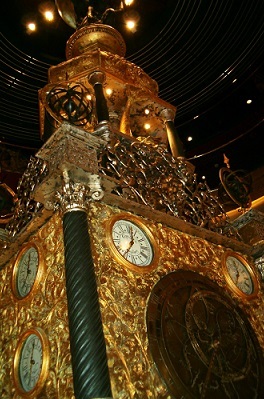 It can be booked as a hotel conference room and can be visit with a guided tour. This is the 6th Rotterdam built in 1997 and thoroughly renovated in 2009 by adding a new aft deck. The ship has not become nicer on the inside or the outside. Sister ship is the almost identical Amsterdam, which fortunately has been spared from this renovation. As a tribute to the predecessor Rotterdam -5 both have two chimneys placed next to each other. The former Statendam class. 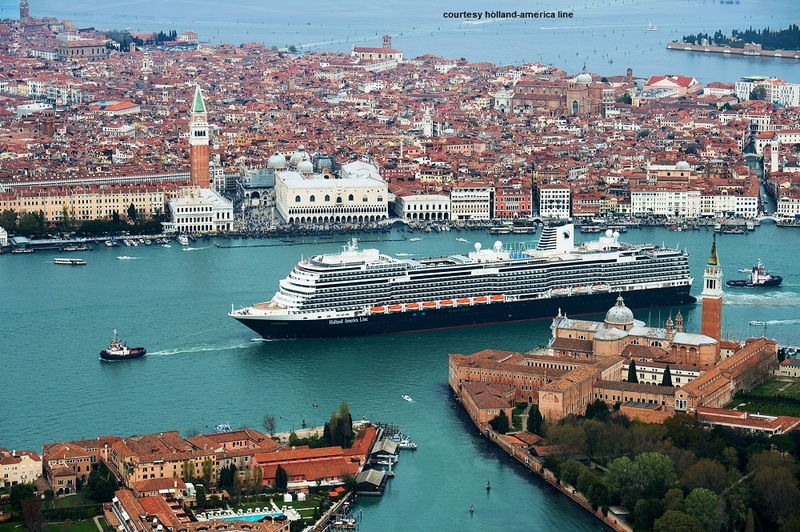 The first new building order under Carnival consisted of: Statendam, Maasdam, Ryndam and Veendam. 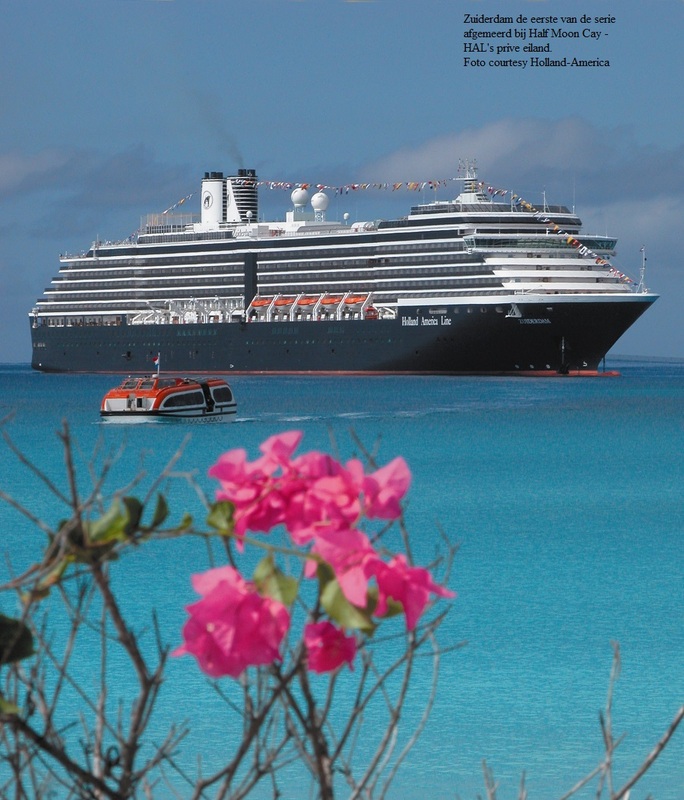 In 2014 the Statendam and Ryndam were sold to P & O - Australia. 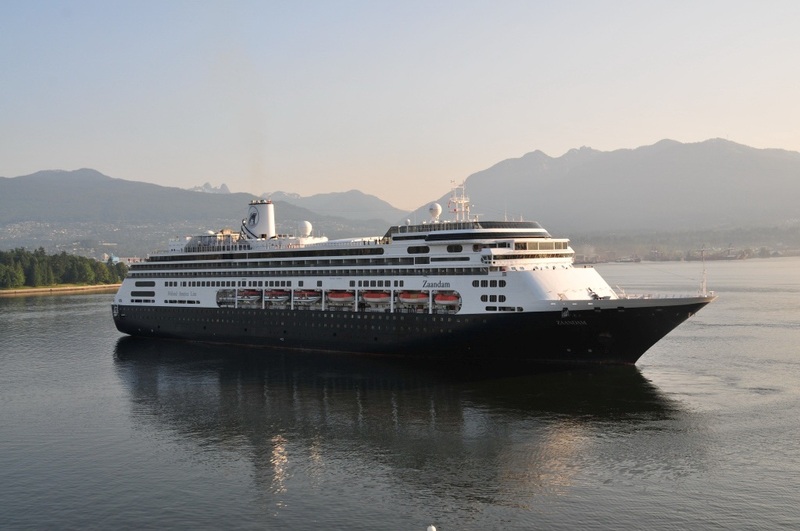 The Statendam (Pacific Eden) has since been sold again and is now sailing as Vasco da Gama. The Ryndam has been renamed in Pacific Aria. 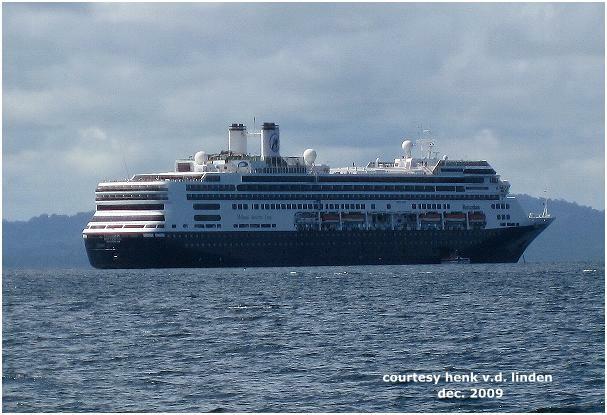 De Veendam was rebuilt in 2009 as part of Signature of Excellence and has not become more attractive. In January 2006 she was the last HAL ship which was brought under Dutch flag. The only ship from the series still in its original state is the Maasdam. This is how the "Veendam" looks after the renovation. The R-class includes the sister ships Volendam and Zaandam, in addition to the Rotterdam and Amsterdam, quite different from the two previously mentioned. Both suitable for approx. 1440 passengers. In the years 2002 through 2006- 4 ships from the Vista class were commissioned. At that time the largest ships built for the HAL ever. The first from the series is the Zuiderdam the remaining are the "Oosterdam" - "Westerdam" and the "Noordam"
Tonnage is approximately 82,000 tons. These ships have also been renovated to add 35 cabins extra. The rear decks have been extended for this. Passenger number is approximately 1918 persons. 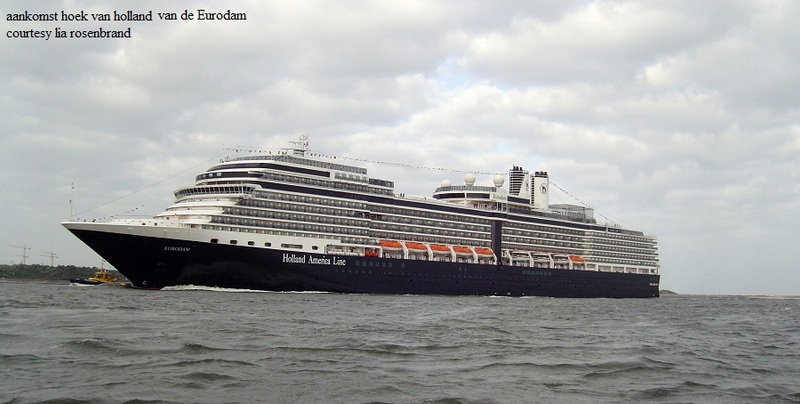 On Sunday morning, June 29, 2008 arrived the "Eurodam" coming from Southampton, amid great public interest for the first time in her homeport Rotterdam. The ship was on June 16 officially hand-over by the Italian shipyard Fincantieri. 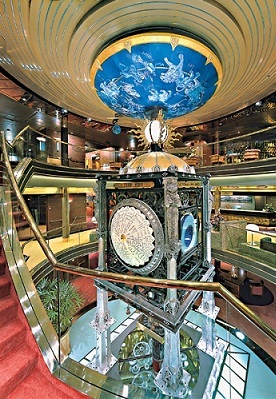 The "Eurodam" is an upgraded Vista -class which is referred to as Signature-class. The naming ceremony was performed by Queen Beatrix on July 1. Because of the 135th anniversary of the HAL various festivities are organized. In 2010, followed by sister ship "Nieuw Amsterdam" Naming ceremony was performed by Princess Maxima. It would take until 2016 before a new ship will added to the fleet. The "Koningsdam" a Pinnacle - class ship of 99.836 tons suitable for 3152 passengers to use all beds. The HAL largest ever built. The naming ceremony was performed by Queen Maxima in Rotterdam on May 20. 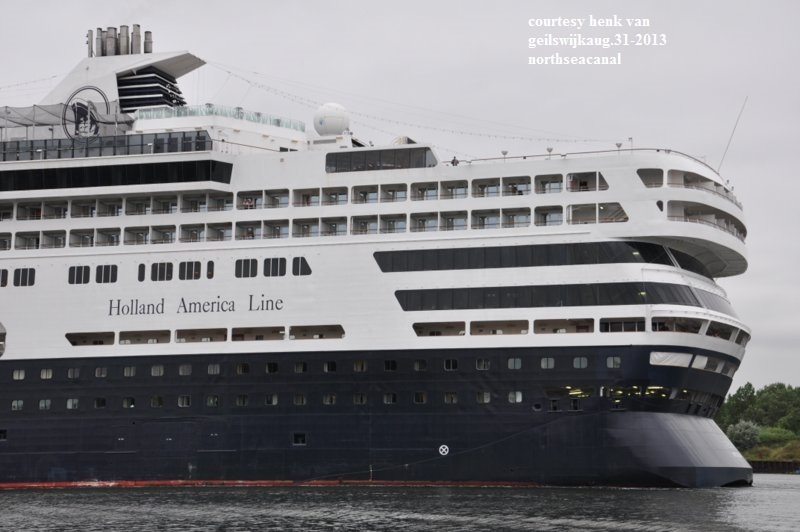 A sister ship" Nieuw Statendam" was delivered at the end of 2018. Naming ceremony and introducing to the public is in America and a totally American affair. A third Pinnacle is commissioned for completion in may 2021 and will be named Ryndam the fourth ship to bear this name. Fortunately not with the stupid "Nieuw" for the name. After the acquisition by Carnival Corp. the Dutch identity of the old HAL has largely disappeared. 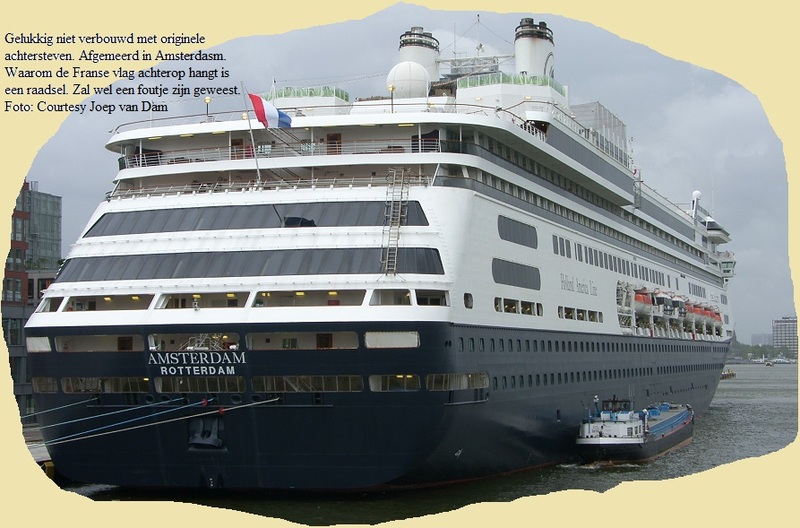 In 1999 a new Dutch cruise company Club Cruise was founded. With the ship Club-1, short cruises were made from Rotterdam. Due to poor service and planning, organizing cruises under their own flag proved unsuccessful. After a few months the own cruises were stopped. The ship was renamed van Gogh and sailed in charter for, among others, the French Nouvelles Frontieres and the British Travelscope. The shipping company bought a few ships and had them chartered by various companies. A striking example is the Albatros, still in service for the German Phoenix Seereisen. Then the Walrus - Astoria and the cruise ferry Finnjet were purchased. The Finnjet got the name Da Vinci. The purchase of the Da Vinci was a surprise. The intention to convert the ship into a cruise ship proved too costly and she was sold for scrap in early 2008. In 2008 financial problems arose and the Astoria was sold to Saga Cruises and renamed Saga Pearl II in May 2012. Due to financial problems and property rights, sales were accompanied by many problems. Because the van Gogh was very popular in the UK, the plan was to set up a new company via Travelscope. The attempt failed miserably as no membership could be obtained from the Association of British Travel Agents, so the sale of cruises was not possible. Club Cruise definitively went down in February 2009. Oceanwide Expeditions the only Dutch cruise company owns and manage, founded in 1996. The Dutch "Stichting Plancius" (1981-1996) was the predecessor of Oceanwide Expeditions, and in 1983 the first cruise operator that organized annual expeditions to Spitsbergen. In 2019, the first new ship will be in service the Hondius 5.500 ton and will accommodate 174 passengers. The Hondius will be the first ship to be built according to the 'LR PC 6' class and complies with the latest and strictest rules of the 'Lloyd's Register' for 'Polar Class 6' vessels. The highest Pool class rating for ice-strengthened vessels. The ship will also fully comply with the mandatory requirements of the 'Polar code' drawn up by the 'International Maritime Organization' (IMO) for safe navigation and protection of the Polar environment. Oceanwide Expeditions also operates the sailing ships Rembrandt van Rijn and Noorderlicht suitable for 33 and 20 passengers. Oceanwide Expeditions is a wholly Dutch company, the only one in the area of ​​cruise shipping. River cruise is not included in this website, but a short comment. In contrast to sea cruises, river cruise shipping is a very important industry in the Netherlands. Many shipping companies are in Dutch hands, the Dutch shipyards also have a large share in the design and construction of river cruise ships. Shipyards such as the Hoop-Vahali- Den Breejen-Teamco and Gerlien van Tiem build many beautiful ships every year. The well-known sea cruise shipping company Celebrity ordered a cruise ship of more than 5,000 tons at the shipyard de Hoop destined for Galapagos cruises. A sister ship is on order for Silversea cruises.